Powder coating is not just the coating used to hot-up vehicles. It is a highly protective coating method that is used to protect substrates from corrosion, chemicals, weather, and physical damage while providing an attractive drip-and-sag-free finish. Powder coating is also a cost effective coating option as it produces little to no waste; Powder overspray can be collected and recycled, which is partly the reason behind its environment-friendly cred. All these qualities make powder coating attractive, and there are many companies in the US from which you can buy powder coating powder. In this article we look at powder coating powders and give you the information you need to buy the right one. We also look at where to buy powder coating powder and the brands and companies that sell them in the US. Most powder companies will produce a range of “standard” colors, with the option to choose another RAL color that they can produce for you. These options will be represented in their powder coat color chart or their sample cards. Powder coat colors can also be tailor-made for your specific needs, though not all companies provide this service. The color options will start with the basic solid color standard, and then get more exciting (and more expensive) from there. Powder coat colors range from standard to metallic and candy. Color effects – These include translucents, which add color while also allowing the metal substrate to gleam through, and dormants – A bright candy finish, this is a two step effect with a typically metallic base coat and a clear top coat. These are particularly used on bikes. $12 per pound is the average powder coating powder price, but of course this changes with brand and specializations. As an example, AkzoNobel’s Interpon 100 epoxy powder in basic white retails at $622.81 per 55lb (25kg) box, breaking down to $11.30 per pound. When you look to buy powder coating powder you quickly realize the more extreme the effect or outrageous the color or texture, the more expensive it is. Metallics in general are more expensive due to the extra processes involved in making them, the special textures require extra thick film build or specialty application techniques which also increase the price. The more specialized the powder, the higher the price. Powders are commonly sold by the pound, with the cost-per-pound decreasing as the volume increases. Like liquid paint, powder coating powder is available in a range of resin types from acrylic to polyurethane. Another important factor to understand is the curing process of the powder. In this respect powders can be divided into two broad categories: thermoset and thermoplastic. In a thermoset resin, the molecules form crosslinks as they cure. 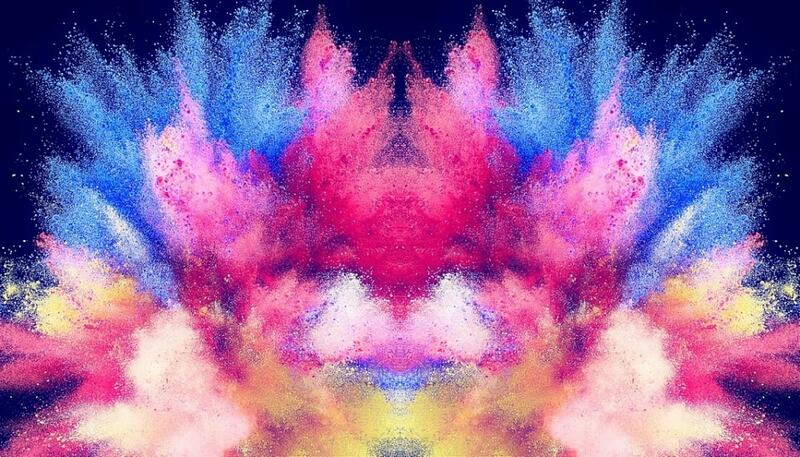 This permanently alters the chemical composition of the coating. Thermoplastic resins have longer chain molecules to begin with and do not form crosslinks. Consequently, they can be re-melted if exposed to high enough temperatures. If you are looking to buy powder coating powder for your business, or have a business that requires powder coating powders for specialty applications, there are several big companies operating in the US who provide powders for your needs. These companies include AkzoNobel, PPG, Sherwin Williams, and Axalta, just to name a few. Below is a table outlining a few of the products available on the American market. For the at-home hobbyist with wheels or garden furniture to coat, there are many online portals that sell powder for your needs. The bigger companies like AkzoNobel are unlikely to provide a single pound of powder for a small application, and a pound will get you very far. 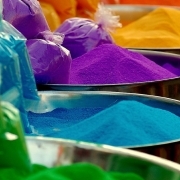 Companies like Powder Buy The Pound, Prismatic Powders, The Powder Coat Store, and American Powder Coatings Inc sell a range of powder colors, effects, and chemistries by the pound for these types of applications.